Do you spend most of your hours in front of your laptop or PC? Ever experienced painful and tingling sensation on your fingers when using your laptop or your PC? Has your arm and hands become numb due to hours of typing and encoding? Avoid wrist complications like Carpal Tunnel Syndrome now! Taking care of health is really important in this busy world and with this kind of lifestyle and high-pressure jobs, the workplace design is becoming more and more essential day by day. the new concept of computer habits has been changed drastically and you must have heard about something being ergonomically designed. We are reviewing a fresh company with fresh product designs to address this worrying issue. (especially of workplace design) intended to provide optimum comfort and to avoid stress or injury. CAN BE USED IN VARIOUS TYPES OF MOUSE – Works with most optical, laser, and roller ball mice. This keyboard wrist pad is large enough and easy to move your mouse on smoothly. 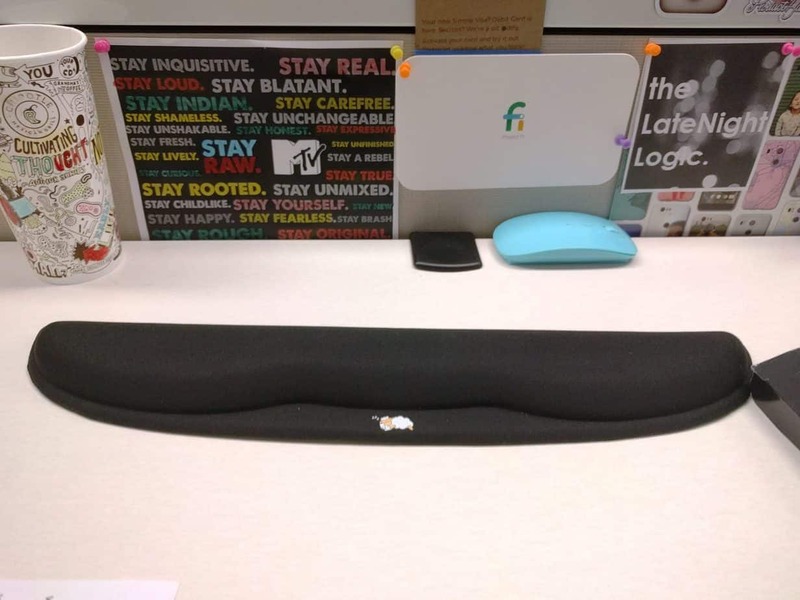 MADE WITH HIGH-QUALITY MEMORY FOAM AND HAS NON-SKID BACKING – The memory foam cushion creates contours that fit the curves of your wrists and provides support. It helps to cut down on the wear-and-tear on your mouse. It lasts over time and is very durable and lightweight. Non-skid backing helps to hold the pad in place. KEEP YOUR WRISTS IN NEUTRAL POSITION – This keyboard wrist pad supports your palm during periods of inactivity, ensuring proper hand position while typing. With a cool design, it is great for gaming and everyday use. It works great with any setup for laptop or PC and has a good grip to desks, tables, etc. On the computer daily for long stretches – this is a lifesaver! Comfortable and proactive care for potential carpal tunnel issues.they are.quality made, and provide a level of comfort that makes work the computer much easier.